We started as a company with just one bandsaw in a garage and a single customer. But today, our team spans over 50 employees in multiple states to operate a wide variety of cutting and bending machines as well as assist customers. There’s a lot of choice when it comes to choosing a value-added distributor for tube, bar, and metal products. At the end of the day, that choice comes down to a lot of different factors, from pricing to precision, but also includes the team of people your company will be working with. 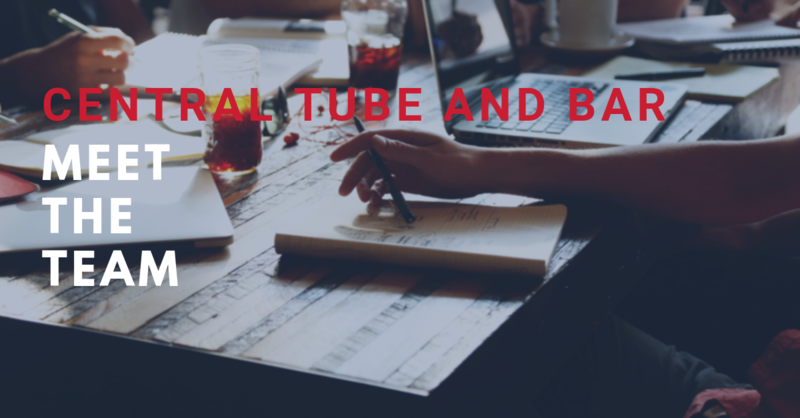 In order to help our customers put faces with names at our company and showcase the dedicated team we have at Central Tube and Bar, we’re sharing behind-the-scenes glimpses as our team on social media. You can find us sharing Meet the Team posts on Facebook and LinkedIn by searching for #MeetCTB.